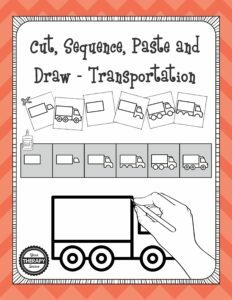 Practice scissor skills, sequencing, glueing, following directions and drawing all with this one activity – Cut, Sequence, Paste and Draw Transportation. 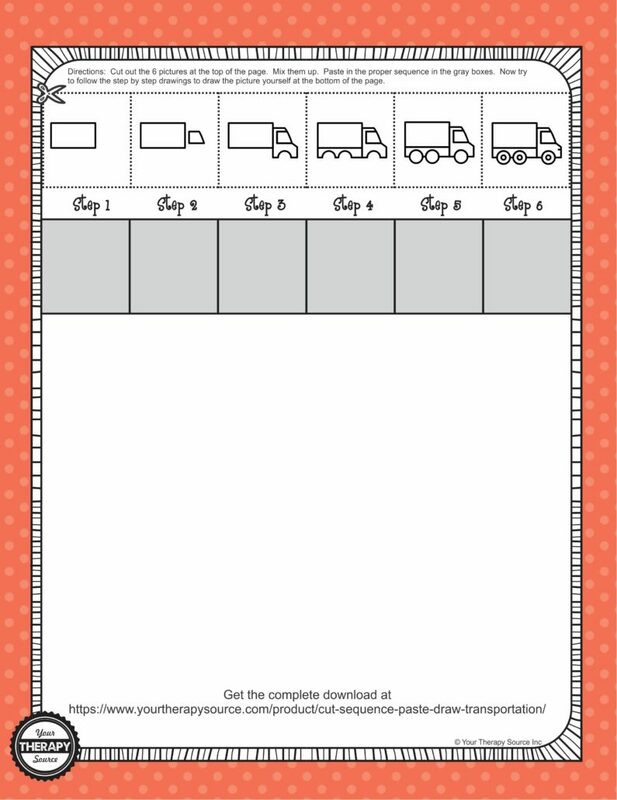 Download this truck freebie to get started with this no-prep activity. Find out more information on the complete Cut, Sequence, Paste and Draw Transportation Packet. 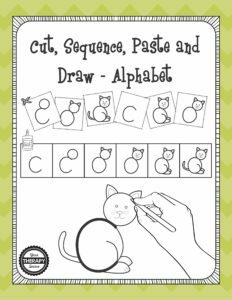 Check out Cut, Sequence, Paste and Draw Alphabet where each pictures starts off with writing a letter of the alphabet. 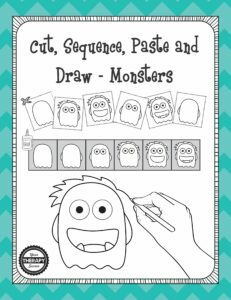 Check out Cut, Sequence, Paste and Draw Monsters. COMING SOON – Cut, Sequence, Paste and Draw DINOSAURS!!!! !